The Senate has confirmed a former drug company executive as President Donald Trump's second health secretary. 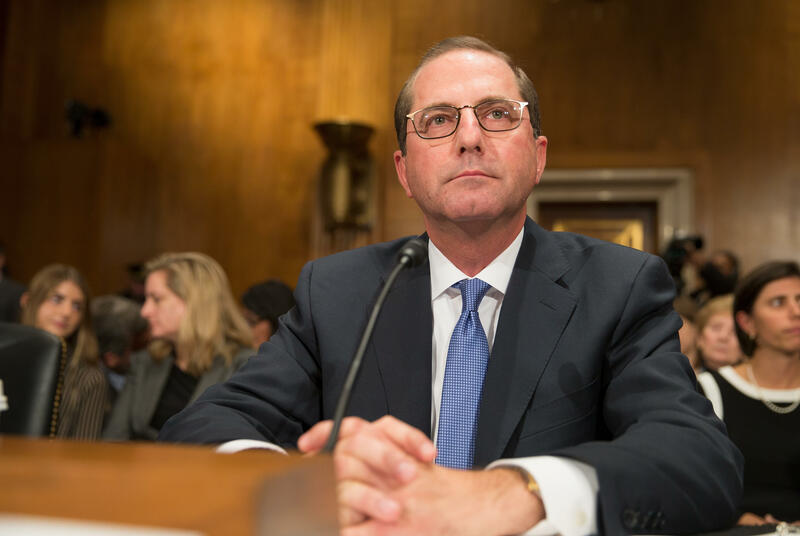 Alex Azar will take on the leadership of the Department of Health and Human Services. The sprawling agency has been shaken by the administration's tumultuous first year. The 55-43 vote was largely along party lines. Mr. Trump announced his intentions to tap Azar as the new HHS chief over twitter in November, writing that Azar "will be a star for better healthcare and lower drug prices!" This wouldn't be Azar's first stint with the Department, previously serving as general counsel and later as deputy secretary of HHS under President George W. Bush's administration. Following his time at HHS, he rose to role of President of Eli Lilly USA, a global pharmaceutical company. HHS is a $1 trillion department that oversees major health insurance programs, drug and food safety, disease control and prevention, and advanced medical research. Azar succeeds Tom Price, who resigned amid questions about his travel. Azar says his priorities are to help curb high prescription drug costs, make health insurance more affordable and available, focus Medicare payments on quality, and confront the growing opioid addiction epidemic.